First Coloured Titanium coin EVER produced for Fiji! 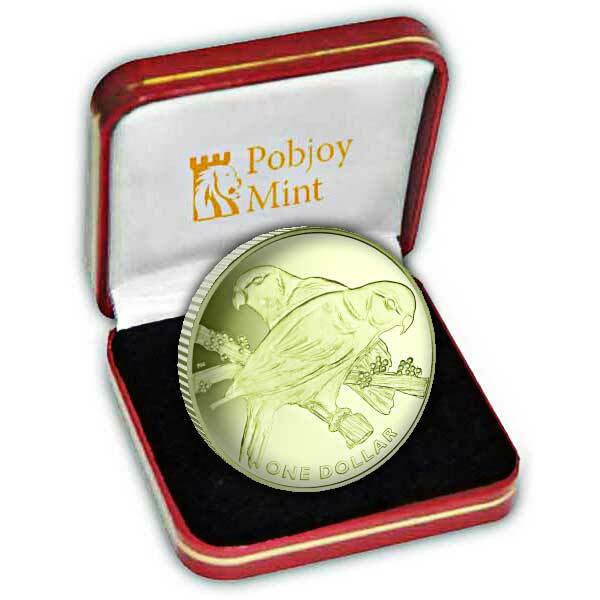 Fiji is the latest country to join with Pobjoy Mint's Titanium coin range with the first of these coins featuring the National bird of Fiji-- the Collared Lory. The Collared Lorys is the nationwide bird of Fiji and is endemic to the Islands and is known locally as Kula. It is the only rainforest bird to have actually effectively adapted to city life. The Collared Lory has greenish upperparts, intense scarlet chest and a face with a purple crown. There is likewise minor Sexual Dimorphis, within the types and the males have the tendency to be more vibrant in colour than the females. The Lory is generally discovered in pairs or small groups and grows to around 20cm in height feeding on a diet of fruit seeds, nectar and blossoms. 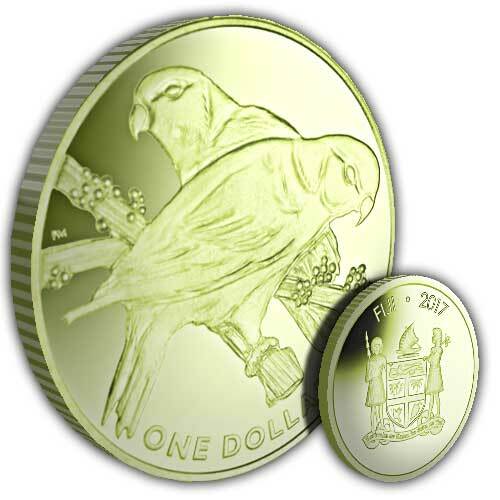 The design on the coin includes a stunning pair of Collared Lory’ss set down on a tree branch. The hardest part of this design was to record and bring to life the texture of the Lory's feathers and the end outcome is really enticing. As Titanium responds differently with every strike, each Collared Lory coin is technically different and varies slightly in colour. There is also a lined effect that exists on the coins which is unique to this metal. The obverse includes the Fijian Coat of Arms a heraldic design consisting of a guard with the Cross of St. George, Fijian Warriors, a canoe and a Lion.